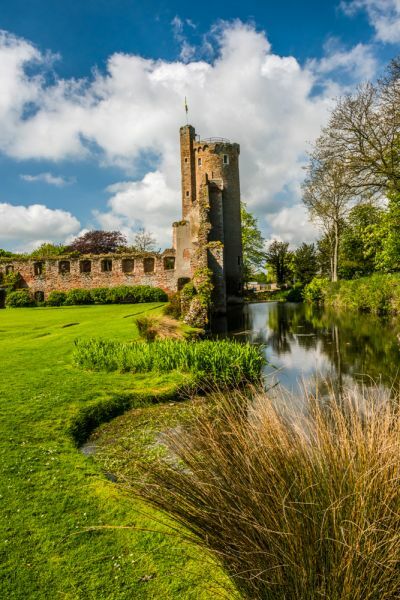 Caister Castle is a picturesque 15th-century fortress surrounded by a moat. The castle was built by Sir John Fastolf, who was the model for Shakespeare's Falstaff. 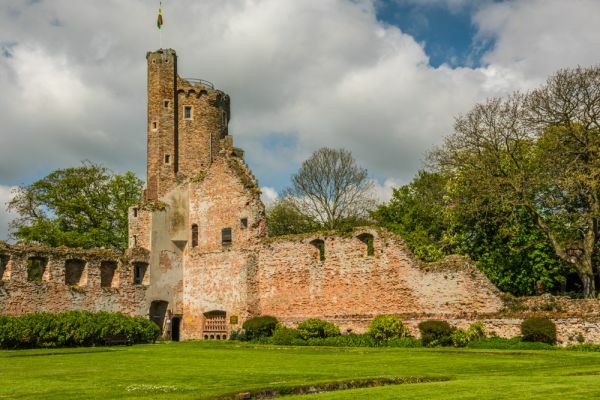 Fastolf built Caister Castle between 1432 and 1446, with a tower that reaches 90 feet in height. Fastolf was an interesting character; a knight of humble origins, he was a military leader during the Hundred Years War and fought with great success in northern France. The distorted version made popular by Shakespeare bears little resemblance to the historical character. Caister Castle was Falstolf's retirement home, a reminder of the wealth and status he accumulated during his military career. 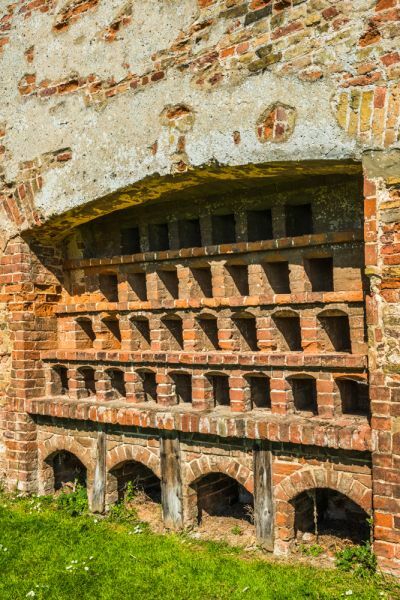 Like many veterans of the French wars, he built in brick, a material that was the height of fashion at the time. Caister was primarily a showpiece, a place for lavish living, though it did play a part in defending the Norfolk coast. Shortly after the castle was completed it was forced to withstand an attack by French raiders. When Fastolf died in 1459 Caister passed to the Paston family, famous for the Paston Letters detailing the rise and fall of the family during the later medieval period. The Paston's could not enjoy their new possession in peace, for the Duke of Norfolk also claimed the Caister estate. His legal bid failed, so the Duke decided to take the castle by force. In 1469 he attacked Caister and forced the garrison to surrender after a siege lasting several weeks. The Duke held Caister until his death, then the Paston's reclaimed it successfully. The Pastons stayed at Caister until 1599, when they built a more comfortable family seat nearby. They abandoned Caister and the castle soon fell into disrepair. By the 18th century, large sections of the castle had been pulled down and some of the stone reused for other buildings. 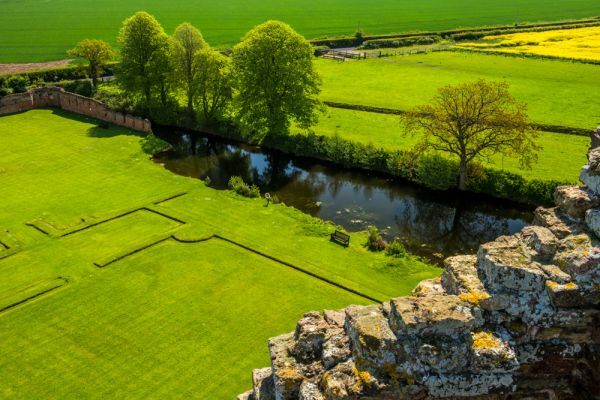 The castle is built to a rectangular design and is one of the earliest examples of the use of brick in England. The castle has three wards, within which several of the domestic buildings still stand, along with the northwest tower. An arm of the moat separated the inner quadrangle from a secondary courtyard for retainers. This arm of the moat has since been filled in, so there is no obvious separation between the lord's courtyard and the retainer's courtyard. There was a third courtyard, now occupied Caister Hall. You can see the original medieval corner tower incorporated into the later wing of the Hall. The north and west sections of the curtain wall still stand, with the northwest corner tower still standing to full height. Within the tower were 5 floors of living quarters, though now only one floor is intact. The tower was obviously intended for Fastolf's own residence and communicated directly to the great hall, which lay against the west wall. The style of architecture is more similar to tower houses in northern Europe than to British style, suggesting that Sir John was inspired by fortified houses he saw on campaign in Europe, and perhaps that he employed a continental architect. At the base of the tower is a section of wall that has been infilled with nesting boxes for pigeons. 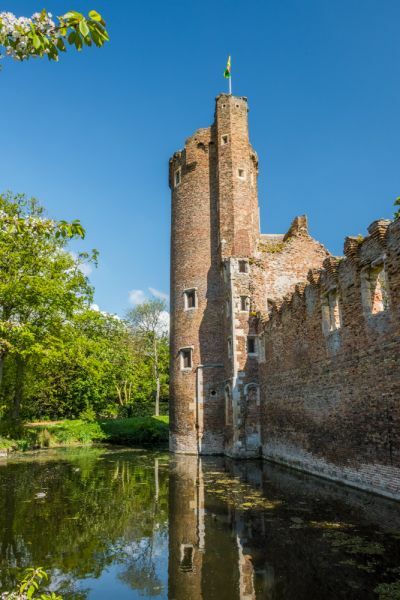 Pigeons and doves were a food staple for large households throughout the medieval period, and most castles of any size would have had a separate dovecote. Beside the castle is Caister Hall, a 15th-century dwelling built by the Pastons. 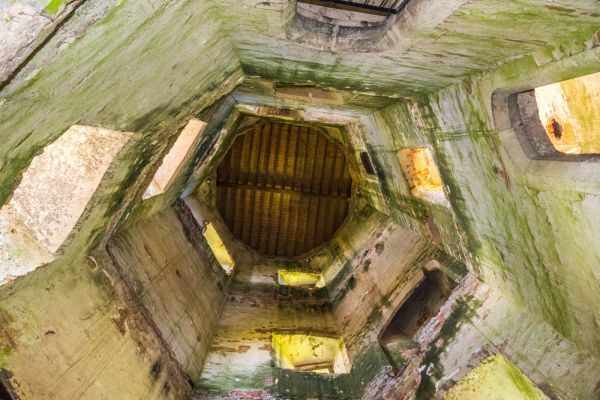 Visitors can climb to the top of the tower for wonderful views. Next to the castle is Caister Hall Motor Museum; the largest privately owned collection of vintage and historic motor vehicles in Britain. A joint ticket allows entrance to both the castle and the museum. 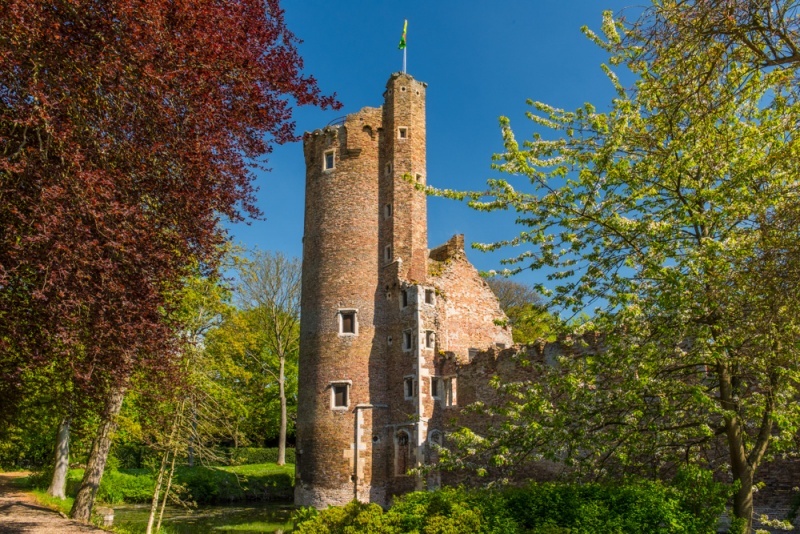 Despite the name, Caister Castle is not in Caister-on-Sea, but 3 miles inland at West Caister.